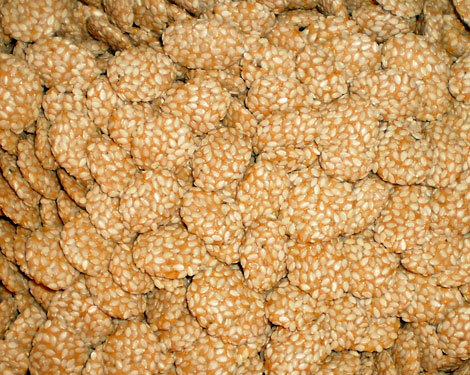 Rewri is crisp toffee like dessert made from gudh (with spices) with coating of sesame seeds. Rewri is also often consumed as a tea time snack (as a substitute of biscuit or cookie) in India. Rohtak, a district in state of Haryana in India is famous for its Rewri.